include in your next get-together meal. seasonally in the beautiful Santa Ynez Valley. other nutrients with relatively few calories. and marinate for one hour. 3. Skewer shrimp to bamboo or metal skewers. 90 seconds), then flip until pink on the other side. seasoning for your taste and toss to combine. Divide into six bowls. 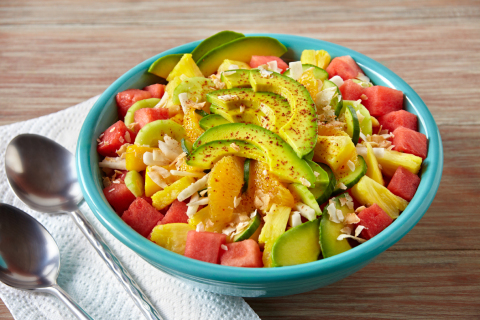 Place avocado slices on top, and garnish with the toasted coconut.